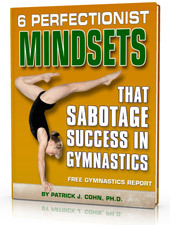 Are You Mentally Ready For Gymnastic Meets? Suzy works hard to be in peak physical condition, she performs her routines with consistency in practice and works hard to develop her overall gymnastic skills. Suzy’s practice routines are almost flawless but she makes uncharacteristic mistakes during competition. Suzy even has lapses where she forgets her routines and is often devastated in her inability to perform like she does in practice. 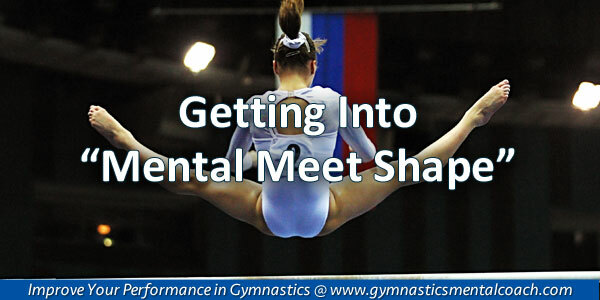 What gets a gymnast in mental meet shape? 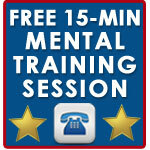 One way to get into “mental meet shape” is to practice your routines in meet-like conditions. One major factor that affects performance is that you practice under one condition and compete under totally different conditions. Maryland Women’s gymnastics team recently under-performed at the 2017 Big Five Meet where the team finished last and scored its lowest total since mid-January. Maryland freshman Alecia Farina was quick to point out that the team was not “out of meet shape,” but their mindsets or mental game conditioning was lacking. Maryland coach Brett Nelligan decided to test a new strategy, silent practices, in an effort to get his team in mental meet shape. During practices, Nelligan decided to replicate post-season meet conditions, where teammates cheer farther away from the gymnast performing her routine, limiting the cheer noise level in the gym. In addition, Nelligan urged his team to mentally calm down by taking exaggerated deep breaths before routines. These deep breaths are aimed at relaxing the body and clearing the mind to enable the gymnasts to focus more effectively. Farina felt Nelligan’s strategies were effective in putting her in a proper mindset immediately before her routine. 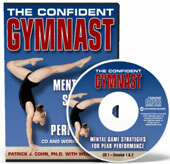 It is not enough to be physically prepared to compete… To fully be in “meet shape,” you must also be mentally prepared. Once a week, practice under meet conditions. This can range from one routine where you perform your pre-performance routine before approaching your apparatus to conducting a practice meet where you wear your competition leotard. The key is to see, feel and hear those things you will experience in a meet. The closer you can mimic the real experience of competing, the better prepared, mentally and physically, you will be for meets.